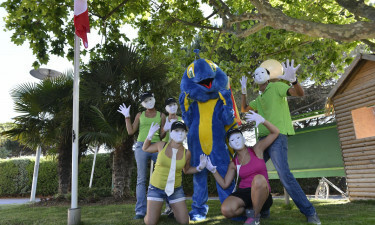 The holiday camping site of Ecolodge l'Etoile d'Argens is situated within the scenic confines of the French Riviera. Offering on-site amenities as well as countless activities for the family to experience, this resort is perfect for an upcoming camping holiday. Speak with LUX-camp to discover more. Camping Ecolodge l'Etoile d'Argens has a really strong commitment to the protection of the environment, living ecosystems and your health. Why Should I Select the Luxury Camping Site of Ecolodge l'Etoile d'Argens? Modern and spacious mobile homes. This site is only 3 kilometres away from beautiful beaches. 494 individual pitches to select. A wide spectrum of conveniences. 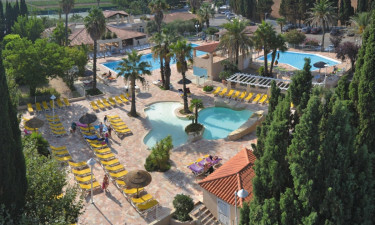 Not only is this holiday camping site no less than 11 hectares in size, but it is located within some of the most beautiful surroundings that the French Riviera has to offer. Ecolodge l'Etoile d'Argens is only a few kilometres from the spectacular shores of the Mediterranean and it straddles a serene river known as the Argens. Vineyards dot the landscape and thanks to the ability to rent bicycles from directly within this luxury camping site, it is very easy to experience nature at its finest. One aspect of the French Riviera that should always be mentioned is that the temperatures here are agreeable throughout the year. Due to the influx of warm air from the Mediterranean Sea, summers are warm and dry while even the depths of winter are considered to be mild. This enables families to enjoy temperate camping luxury during any tourist season. L'Etoile d'Argens offers a camping holiday that is perfectly suited for both the young and old alike. Thanks to a variety of activities to enjoy, fun in the sun has never been more of a reality. Some of these experiences include swimming in an open-air pool, miniature golf, volleyball and table tennis. Other attractions found only a short distance away from this luxury camping site are diving, heading off to the beach, sailing and enjoying an 18-hole golf course. Luxury camping should always be accompanied by fine dining. 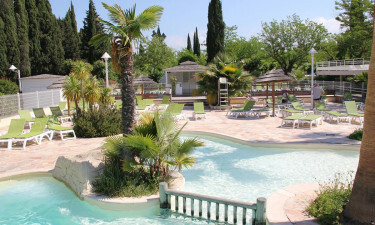 Camping Ecolodge l'Etoile d'Argens offers both. Their restaurant provides a milieu of international cuisine as well as dishes that are specific to the French Riviera. Mediterranean cuisine abounds while pizzas are cooked in a traditional stone oven. Those who want to eat within their mobile home can utilise a takeaway menu and there is also a selection of platters for children. A bar found within this restaurant overlooks the pool and is an excellent way to spend a lazy afternoon sipping on wine. There is a large supermarket located within this site.Guests can find pastries, freshly baked bread, croissants, fresh produce and a host of other items. International newspapers, postcards and tourist souvenirs are also available here. Over 180 square metres of space virtually guarantees that shoppers will find what it is that they are looking for. To fully appreciate what this holiday camping site has in store, make sure you get in touch with LUX-camp directly.